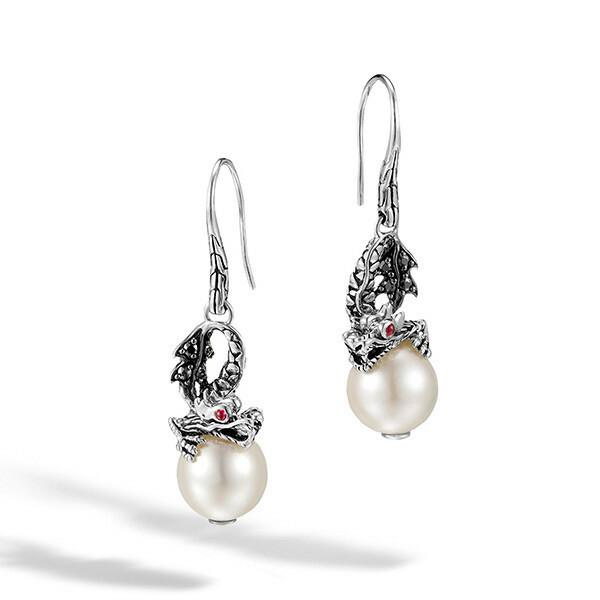 These earrings from John Hardy's Legends Naga collection feature the mythical dragon with his one true love, the pearl. Crafted in sterling silver, a French wire back supports the full body of the creature with ruby eyes and black sapphire scale detail atop the natural gem, shown in a protective stance. The dramatic and distinctive piece of jewelry measures 41mm in length. These John Hardy drop earrings will invite story-telling.